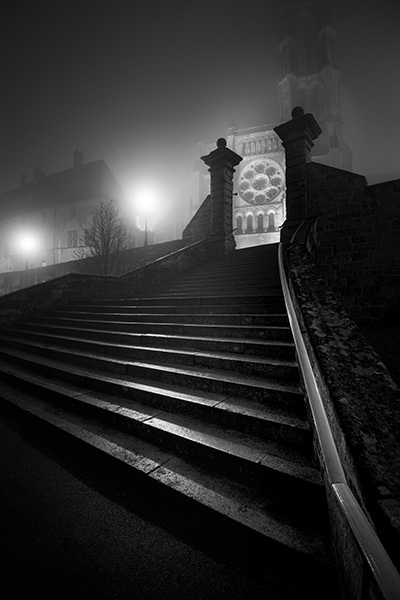 A foggy night in Laon looking up at the town's dramatic medieval cathedral: "Notre Dame de Laon". Dating from about 1155 it is perhaps the most impressive gothic cathedral I've visited. Laon is quite a small place and it is such a surreal sight to see this huge building in such a sleepy little town.